Frank Turner is already looking forward to headlining the Wickham Festival. The Wessex Boy will top the bill on Saturday August 3 in what is a major coup for organisers who have been trying for several years to sign him up. And even this far in advance, he is already eyeing up the date for what will be a very special gig. He said: “I am very, very excited to be playing the Wickham Festival. I grew up round here and even though I no longer live in Winchester it will still be a hometown gig for me. 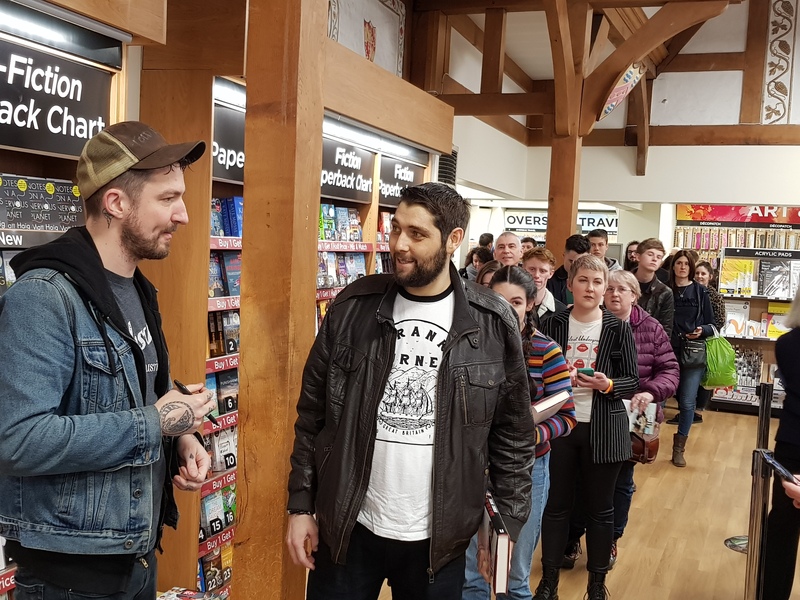 Turner was back in Winchester to sign copies of his new book Try This At Home and was stunned to see so many fans lining up at WH Smith. Almost 400 people queued around the top floor of the store, down the stairs, around the ground floor and out into the street. 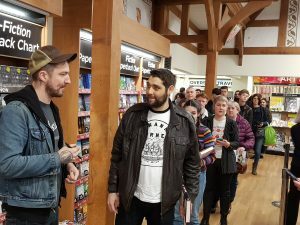 Despite the singer having a second signing session in central London little more than four hours later, he took time for all those who had turned out. As down-to-earth as ever, he greeted them all with a hug, signed autographs, chatted and posed for photos. His latest book – a follow-up to The Road Beneath My Feet – is already proving a huge seller. Frank Turner’s new book is proving hugely popular. He added: “That was about touring but I did not really talk too much about the songs and that is something I wanted to do here – so it is a little bit different. “It is a different vibe. 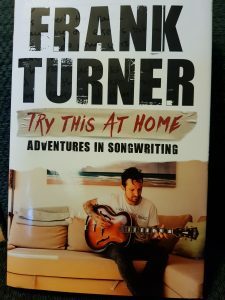 It is not quite a manual on songwriting but I go into the stories of the songs and how they were put together and their meaning. Try This At Home is published by Headline and costs £20 rrp.